Coalition governments have taken pride in maintaining a reputation of being the natural managers of Australia’s economy. But in launching his successful leadership bid, new prime minister Malcolm Turnbull said the Abbott-led government had not been capable of providing the economic leadership the nation needed. What went wrong? 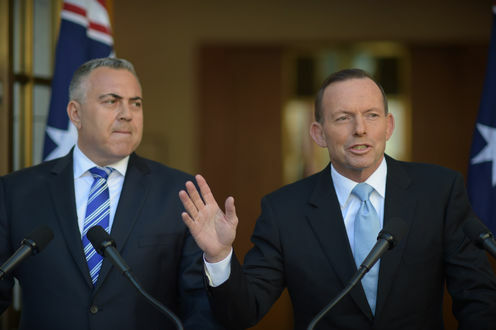 Here are ten steps along the rocky economic path that led to the Abbott spill. To navigate the timeline below, hover your mouse on the right (and on the left to move back). If you can’t see the timeline, click refresh on your browser.